A couple of weeks ago I went to the Heritage Harvest Festival at Monticello, an annual event that I was attending for the fourth time (2009-2011, missed last year). It’s a fun event in a beautiful setting, with ample chance to learn from people who are foremost in the horticultural, agricultural and environmental fields, at a very low cost (talks and workshops range from free to $15), or just hang around all day enjoying great food and music and scenery and buying locally-made products, and I urge everyone to put it on the calendar as soon as they announce next year’s dates. – Craig’s current big project is the development of dwarf (container) tomato varieties from heirloom types, so that gardeners with limited space can grow tomatoes with great flavor. – There is no such thing as a “low-acid” tomato; all varieties have close to the same amount of acid, but some have more sugar than others. Later in the day I finally got into the tomato tasting tent up on the main lawn, and decided that at least one of the many tomatoes Craig had recommended, Aunt Ruby’s German Green (or just Aunt Ruby’s Green, as apparently Ruby wasn’t German at all and the addition snuck in there later on), is going on my list for next year. The next talk I attended was Innovative Home Composting with Barbara Pleasant, who’s a great speaker; most of the information she presented is covered in The Complete Compost Gardening Guide which I have a copy of (it’s a great book that everyone interested in composting should read), but it was nice to see photos and hear stories in person, and I’m stoked to try some of the methods out. Also she handed out cover crop seeds, which we are using in the demo garden this fall. And then in the afternoon I decided to hear Cary Fowler, Executive Director of the Global Crop Diversity Trust, talk about the Svalbard Global Seed Vault, which he helped found five years ago. There are projects for which the word “awesome” in its literal sense is appropriate, and this is one of them; I think we can all be glad this facility exists, and it was also wonderful to spend an hour on a warm afternoon looking at lots of slides of ice and snow. It is really, really cold in Svalbard (which is of course one of the reasons that site was chosen). Here is an interview with Fowler in The Atlantic from last year; and yes, they did get the seeds from Syria safely stored. So, a lovely day, and again I urge everyone to visit next year! 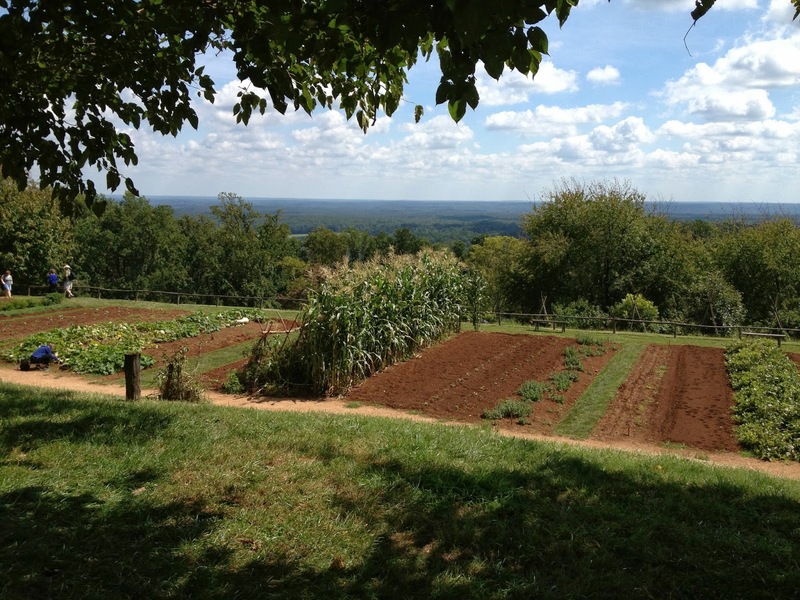 Another treat that I decided to miss this time, but very worth doing, is a seed-saving tour of the vegetable garden with its gardener-in-chief, Pat Brodowski. I walked around the whole garden twice by myself instead; looked as if they’d had a tough year too, but it was still gorgeous. I would love to hear more on the cover crops – kinds and what can be planted now? Here is a UMD factsheet on cover crops – and I will post more on our experience as the season goes on. We've planted forage radish, phacelia, crimson clover, and plan to do Austrian winter pea.